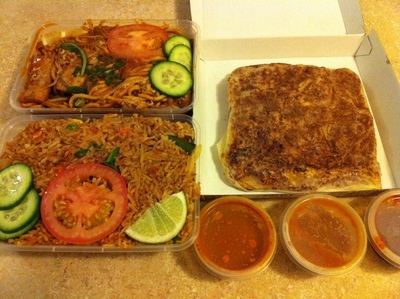 Ask any foodie where to find the best Malaysian food in Sydney and they'll answer: Mamak. The food at Mamak is un-mistakingly authentic with bold flavours that attack your senses from all angles - sight, taste and smell. Inside Mamak it's always bustling with staff rushing to serve the hungry hoards, aiming to turn-over the tables as quickly as possible. 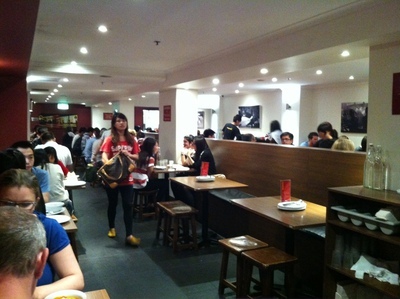 The wooden tables and stools also suggest a casual - and quick - dining affair. Don't expect to have a quiet conversation, this is not the time or place for it. The food at Mamak is so good that you will have to wait for it. Mamak does not take reservations, so you'll have to line up. 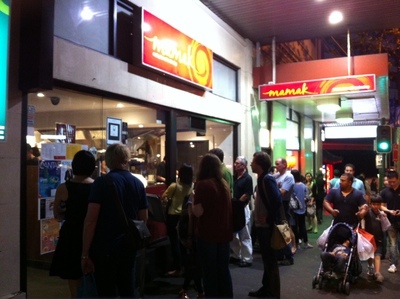 By the looks of the line outside the bustling Mamak restaurant on Goulburn Street in Sydney's Chinatown, it will probably be about forty-five minutes, minimum. It's worth the wait, so factor in some waiting time when making your plans to go to Mamak. If meeting a group of friends, make sure the first one there puts their name on the list so you're at least in the queue by the time your whole group arrives. While you're waiting, you'll be entertained by the roti chefs putting on a spectacular show in the Mamak window while they make each roti to order. The sight of the food combined with the delicious aromas wafting out from Mamak will have you salivating. If you'd like to have an alcoholic drink with your meal, bear in mind Mamak is BYO - perhaps you can use the wait time to go and pick up your drink of choice. I decided not to wait and opted for takeaway. While I got a few glares as I skipped ahead of the queue and headed straight inside, all was fine when the waiting masses realised I was simply after take-away and would not be jumping the queue for a table. 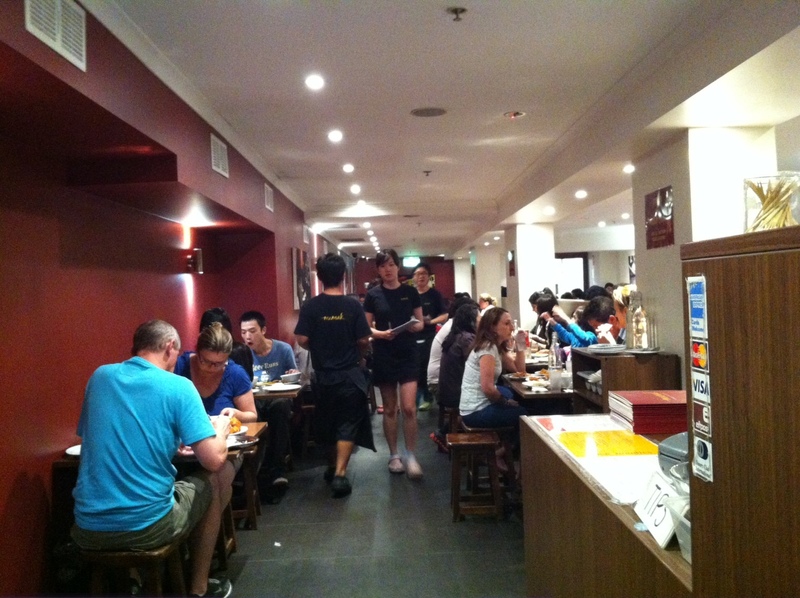 The menu is simple, with an emphasis on roti ($5.50-$11.50), satays ($9 for six, $16 per dozen) and traditional Malaysian mains including spicy curries ($14-$17), stir-fries ($14-$19) and a good selection of rice and noodle dishes ($8.50-$11.50). The Nasi Goreng ($11.50, a Malaysian-style fried rice with spicy sambal, eggs, prawns, french beans and assorted vegies topped with fried shallots) is a staple for me, along with the Mee Goreng ($11.50, spicy wok-tossed hokkien noodles with eggs, prawns, fish cake slices and fresh bean sprouts). Both are exactly what you would expect to find in an authentic Malaysian Hawker market, with the distinct spiciness of the sambal sauce. Other dishes I'd recommend include the Kari Kambing ($16), a spicy lamb curry that is slow-cooked and melt-in-your-mouth tender. The Ayam Goreng ($4/piece), a Malaysian-style fried chicken marinated with traditional herbs and spices is full of flavour. 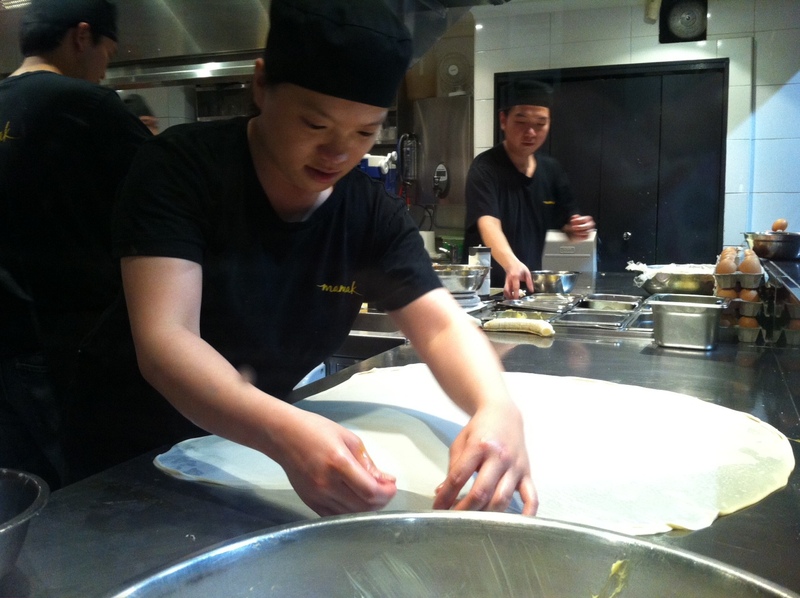 The freshly made roti is crispy, flaky - and addictive. The savoury roti are served with two curry dips and a spicy sambal sauce, while the sweet roti are served traditionally with curry or enjoyed as a dessert with ice-cream. From the savoury roti selection, try the Murtabak ($11.50, choice of chicken or lamb), a local favourite filled with spicy meat, cabbage, eggs and onions. For dessert, it's hard to go past the Roti Tisu ($9.50), a paper-thin, extra crispy roti served 'tall'. Watching the roti Chefs create this dessert is part of the experience - they crush the flat roti with cupped palms to create a roti ball with crisp roti flakes just calling to be pulled apart. When: Lunch: 11:30am-2:30pm; Dinner: 5:30pm-10:00pm; Supper till 2am on Fri & Sat. overrated - since it got into I think SMH's Good Food Guide as the cheapest hatted restaurant in town there've been long queues - but the several times I've been there have been disappointing - sure it's Malaysian food, but nothing for anyone who's been to Malaysia to write home about, except for the roti which is hard to find freshly-made in Sydney - in which case I'd go with you and get takeaway - stand in line for an hour ? - no thanks !